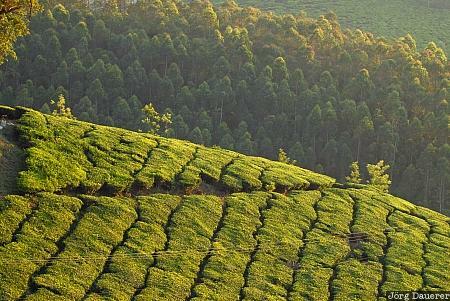 The green pattern of the tea gardens near Munnar in the Western Ghats. Munnar is in the east of Kerala in the south of India. This photo was taken in the evening of a sunny day in February of 2011. This photo was taken with a digital camera.